Cooking With Your Doctor: The New Culinary Medicine : 13.7: Cosmos And Culture Would doctor visits be more helpful if your physician were to invite you into the kitchen? It's already happening in culinary medicine, says anthropologist Barbara J. King. Imagine this: Right next to the lab where blood is drawn and blood pressure is taken stands a fully stocked kitchen — in your doctor's office. It's not meant for the staff's lunch break, either. During your checkup, your physician invites you into the kitchen, demonstrates some healthy-cooking tips she picked up in medical school and writes you a prescription for a cooking class. This scenario doesn't sound like the U.S. health care system I know, which is beset by longer wait times than actual time spent with a doctor, whose day is choked with too many patients and too much paperwork. But in small pockets of the country, it's a plan for the future that's already beginning to play out. Last month, NBC Nightly News did a feature story on the physician at the center of this new movement, Dr. Timothy Harlan, who is with the Goldring Center for Culinary Medicine (GCCM) at Tulane University in New Orleans. There, medical students learn not just about nutrition in the classroom, but also how to cook, vegetable-chop by vegetable-chop. Would a food-based doctor-patient consultation work in the real world, though, outside medical school? At NPR's Shots blog in December, Harlan said he really does intend for Tulane-educated doctors to be able to teach their patients everyday skills in how to cook, what to cook and why. "First and foremost, being able to walk the walk makes doctors better at counseling. There is pretty good research to support this and by understanding nutrition from a food-first perspective physicians can better relate to what their patients need. It works in the doctor-patient appointment by (as our public health colleagues tell us) giving short, simple messages that we repeat over and over." The cumulative effect of patients' "simple choices" in the kitchen can have "tremendous impact" for their health, Harlan emphasized. So, what about the goal of physicians getting hands-on in the kitchen with their patients? "Some already do and that cadre will grow. I hesitate to predict how commonplace this will be because if five years ago you had of said we would be as far along as we are in 2016, I would have scoffed. But there are 75 healthcare providers in the Certified Culinary Medicine Specialist program and the project is only 9 months old. I know of physicians who have already built kitchens in their private practices and there are dozens of kitchens in larger clinics already. Teaching kitchens are not quite the norm at cancer centers but are very common." This last comment caught my attention. I know how hard it can be to sustain healthy habits during intense chemotherapy and radiation. The same challenge certainly may beset people facing medical situations, both acute and chronic. "One of the reasons that we chose to do this is because responsible, evidence-based healthcare providers should take ownership of the conversation so we can educate medical students, physicians and the community about great food that just also happens to be great for you. While there are a lot of silly diets out there (Paleo, pH Miracle, blood type diet, etc.) there are good evidence about what really works and we teach physicians to meet patients where they live. Is a plant based diet better? Yes. Is it realistic to think that everyone will follow this? No. As such, doctors need to be armed with the information that can help them help their patients make the choices that work well. 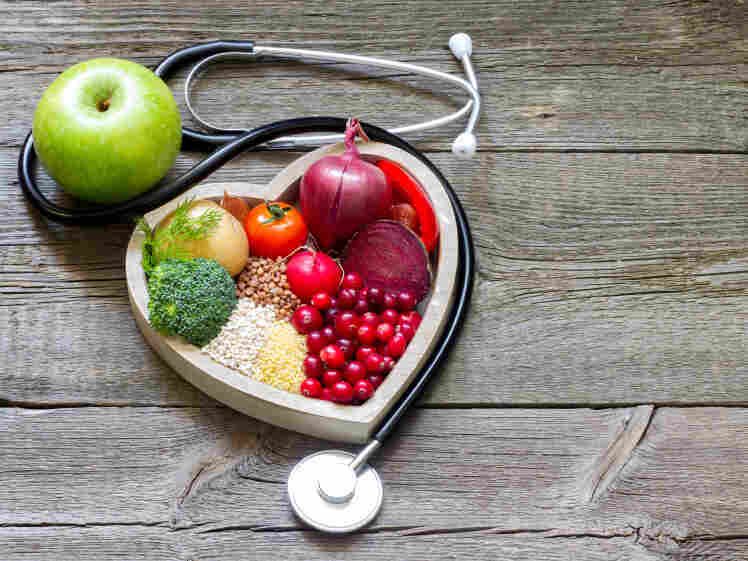 There's a vast amount of knowledge about food and medicine that goes overlooked in the discussion about cardiometabolic risk and cancer prevention (the two areas that most folks focus on when thinking about a healthy diet). We need to know about celiac disease, irritable bowel syndrome, diet challenges with HIV patients, food allergy, warfarin use, eating disorders, nutrition in pregnancy, diets for bariatric surgery patients ... Having the information to counsel our patients authoritatively is a critical part of the tools we are creating at GCCM." I'm still not so sure about how doctors are supposed to master culinary medicine as well as respond to all the other pressures of modern medical practice. But I'd love to learn in the coming years that my worry is unfounded, because the principles Harlan puts forth seem to me right on. Barbara J. King retired from her post as anthropology professor at the College of William and Mary at the end of 2015. She often writes about human evolution, primate behavior and the cognition and emotion of animals. Barbara's most recent book on animals is titled How Animals Grieve. You can keep up with what she is thinking on Twitter: @bjkingape.